Koley Jessen has welcomed nine law students to the firm to participate in its summer associate program. 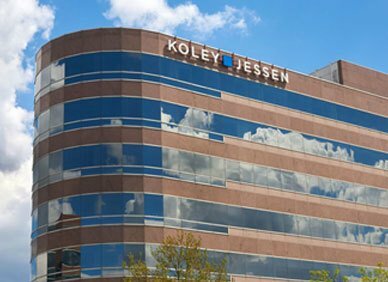 Three are returning for their second summer at the firm and six are new to Koley Jessen this year. This program involves three rotations through different practice areas and provides the students insight into the private practice of law as they participate in ongoing client matters. By summers end, they will have experienced such things as attending court hearings, trials, depositions, the closing of a transaction, and client meetings in addition to working on legal research and writing projects. Joining Koley Jessen as second year summer associates Taylor Cammack, Casandra Langstaff, Paige Gade, and Lucas Whited. Cammack and Gade attend the University of Nebraska College of Law, Langstaff attends Creighton University School of Law, and Whited attends the University of Iowa College of Law. Joining the firm as first year summer associates are Alexander Clauson, Francisco Gomez-Mancillas, Nathan Patterson, Carly Thelen, and Jackie Tondl. Clauson attends the University of Nebraska College of Law, Gomez-Mancillas, Patterson, and Tondl attend Creighton University School of Law, and Thelen attends the University of Iowa College of Law. Koley Jessen’s summer associates will be matched up with a mentor who will be a resource for them throughout the program and will be a part of training sessions aimed at providing them practical examples and experiences. They will also receive feedback on their work as they cycle through the various rotations. This experience helps the students determine what areas of law are of interest to them and helps the firm connect with high-quality entry-level attorneys.